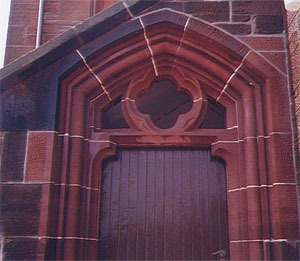 Example of weather decayed moulded doorway. 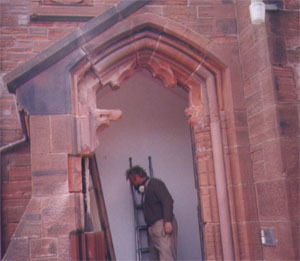 Rebuilt doorway to original using lime mortar. 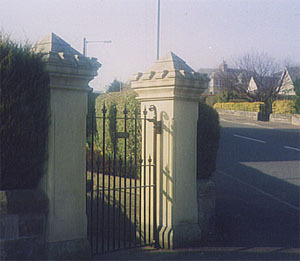 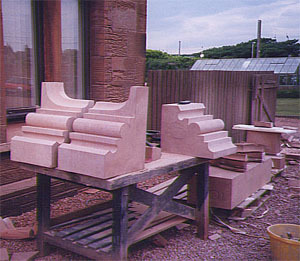 re-instated in blond sandstone with original wrought iron work.